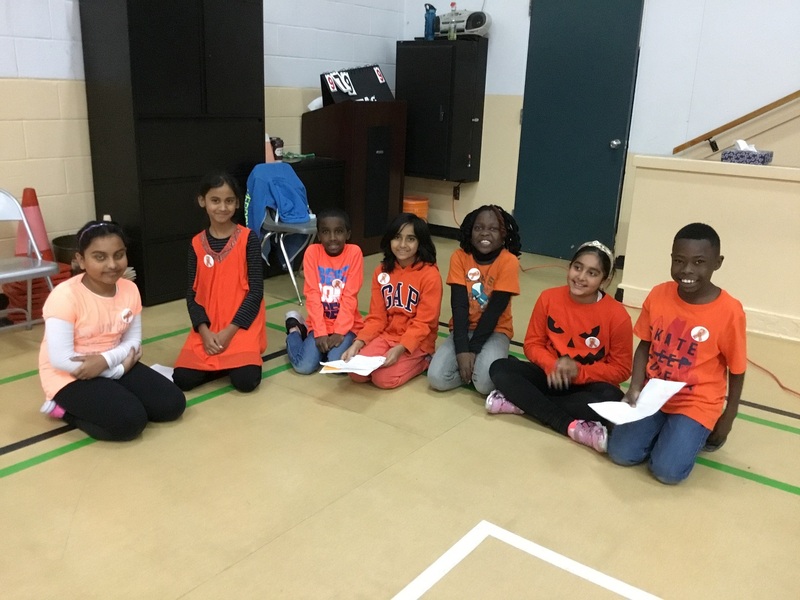 On Monday, October 1st the students and staff at Almadina Mountain View Elementary Campus celebrated their very first Orange Shirt Day. 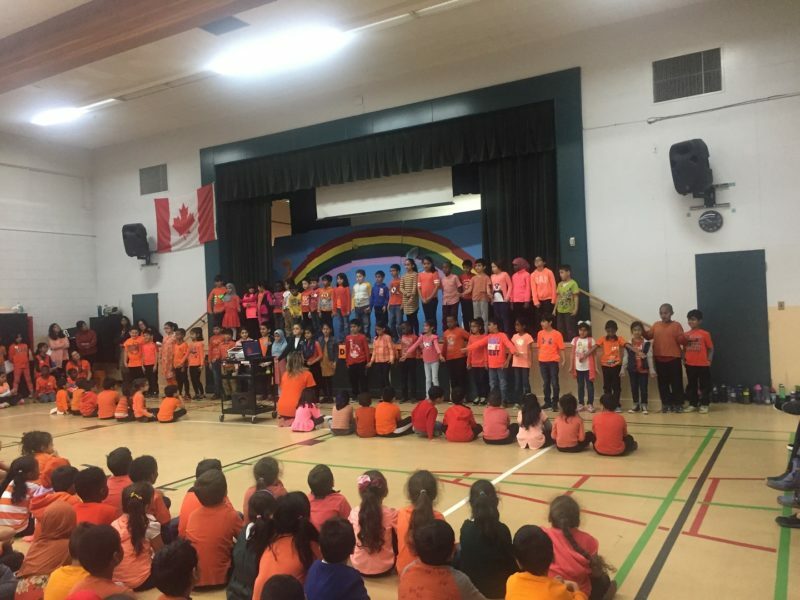 It was great to see so many of our students and staff wearing orange on this important date. 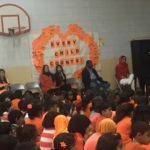 Our students were encouraged to use their conscience to understand the message of how “Every Child Matters” and how Phyllis’ story reminds us that we can make a difference in the lives of our children and every child out there. 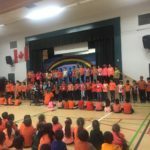 Orange shirt day grew out of Phyllis’ story of having her shiny new orange shirt taken away on her first day of residential school and it has become an opportunity to keep the discussion on all aspects of residential schools happening. We are always proud to see our Almadina students and staff accept and value each other and provide a strong sense of belonging. 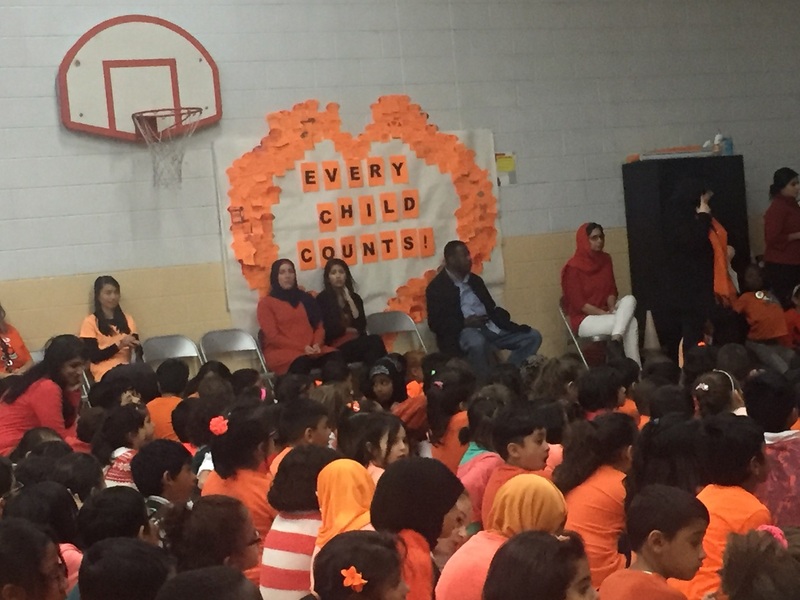 Orange shirt day represents a new future where we all work together to make sure every child matters. 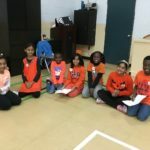 Thank you Almadina for doing your P.A.R.T! !